In this Polar Frost Promotion section examples of marketing ideas that are used by dealers all over the world. YouTube could be your best partner to sell Polar Frost. At one moment, we all need inspiration to do our promotions better. It doesn’t matter whether you’re a marketing expert or somebody who needs to promote the business yourself. You will need inspiration to do so. We will help you with flyers and display’s about our products, so you can show them on trades and exhibitions, or in your e-mailings. But you know what they say, a picture say more than thousand words. And you know what? A movie does it even better! Here is were YouTube comes in. Movies are the searching keywords of the future on the internet, ask Google! Make one and promote it on your favorite social network to see what your connections say about it. You will be amazed about the result you make. So If you have created a promotion for Polar Frost and you want to show and share it with other dealers, please let us know and send the movies or the YouTube-link to us. Let us know who is presenting and the location were it is made. We will place it with great pleasure on the website. This Polar Frost commercial is going to run on the Vietnamese TV channel in California for 3 months, 5 times a day , but it actually airs worldwide. Saigon TV commercial and talkshow. 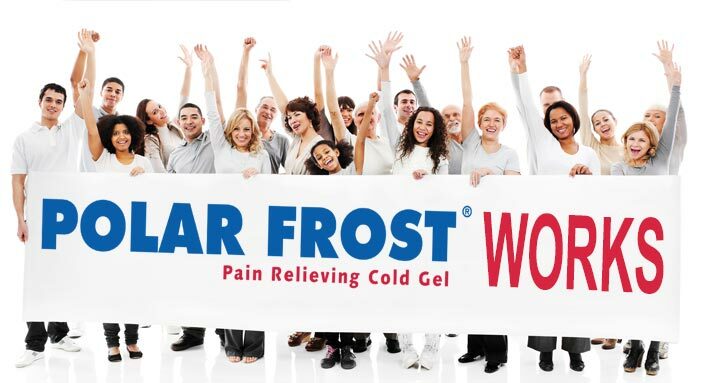 Everything what you wanted to know about Polar Frost pain relieving gel is coming on the table.